130 x 199 mm., 5 x 7 ¾ in. 228 x 296 mm., 9 x 11 ½ in. Bridgman is one of America’s best known 19th century Orientalist painters. Born in Alabama, the son of a doctor, he trained in New York before moving to Paris where he became a pupil of Jean-Leon Gerome (1824-1904) in 1867. 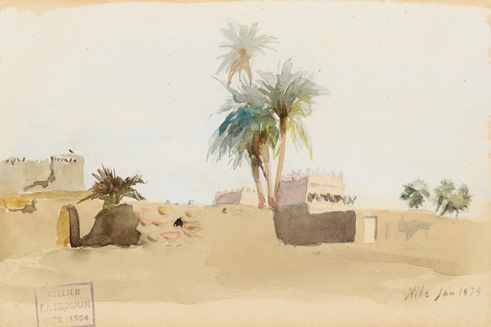 These drawings date from Bridgman’s first trip to Egypt in the winter of 1873-4 which resulted in paintings which brought him worldwide acclaim. 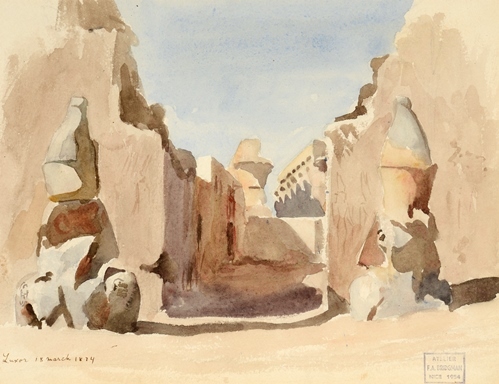 Although Paris remained his base, he still exhibited in the USA including a huge one man show of over four hundred pictures on 5th Avenue in 1890.